This past weekend, I went to Hot Springs, Arkansas to go to the Passport Center. Turns out that St. Louis does not have one (the only cities near St. Louis that have one are Chicago and Hot Springs) and the only place that would give me an appointment was in Hot Springs. 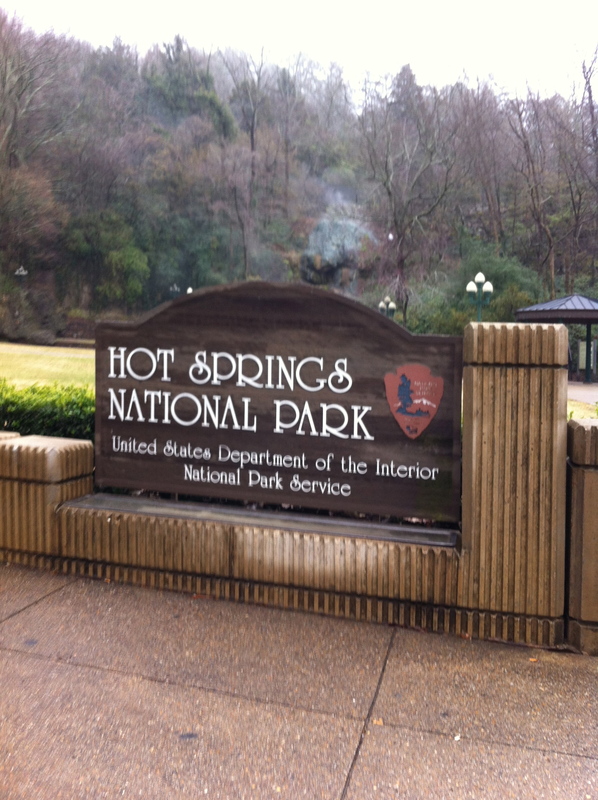 Hot Springs, in addition to being a beautiful town in the Ouachita Mountains, is the site of Arkansas’ only National Park (and the only National Park within a 500 mile radius). 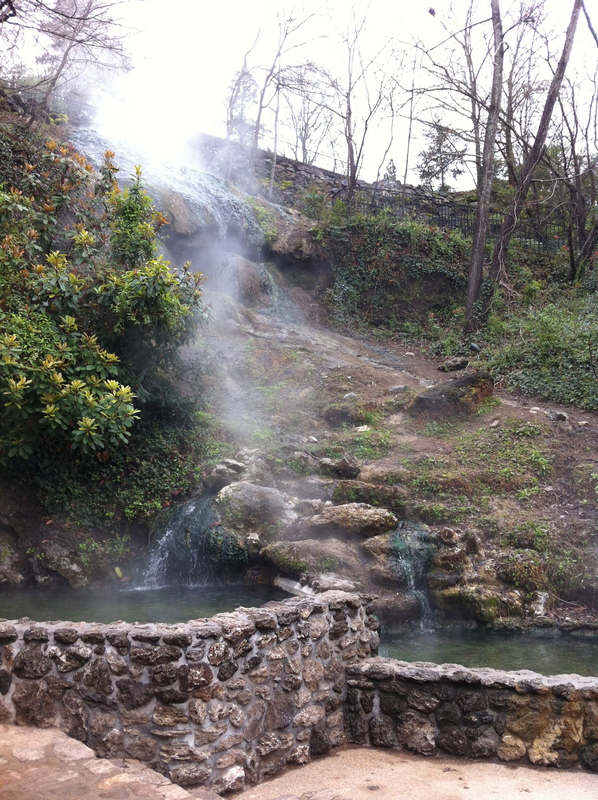 Before becoming a National Park, Hot Springs became the United States’ first federal reserve in 1832. The reason for the town’s existence is of course the hot springs, which flow as a river through the middle of town. Starting in the 1870’s, fancy bathhouses were built on top of the river. Today, the river is completely buried beneath Bathhouse Row. Currently, there are 2 operating bathhouses. 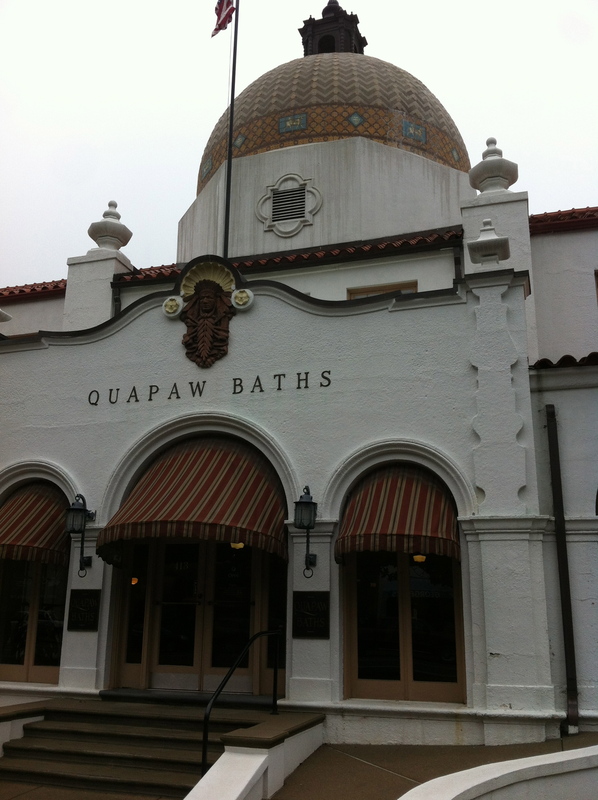 One, the Quapaw, is a considered a modern bathhouse which means it has different pools of various temperatures. Everyone can hang out together in the pools. After paying a hefty $34, I was taken to a dressing room. The attendant gave me a locker key and told me to completely undress. I was then lead into the main bathing room, where I met the bathhouse attendant, Bobby. Bobby was very nice and very Southern. When I told him that I was from Los Angeles, he said that he didn’t understand how anyone could live in such a crowded place. Bobby lead me to an old fashioned bathtub and turned on the water. After the tub filled up, I sat in and sank down into the tub until only my head was above the water. Because the water was about 110 degrees, I started sweating heavily. After about 10 minutes, Bobby drained the tub and scrubbed me with a loofa. I got to take home the loofa, which makes for a strange souvenir. The next step is the Sitz tub, which is a tub that you sit in. Hot water streams down the back and collects in a pool around the pelvis. I’m not sure why anybody came up with this idea, as it seems to serve little purpose and is just plain weird. I was then taken to the steam room, which is a traditional sauna. I was only in there for about 2 minutes. At this point, I felt very dehydrated and luckily, Bobby was there to give me some water. Bobby then grabbed a large white cotton sheet and wrapped me up like a mummy. He then had me lay down on a massage table and placed a hot towel on my back. I stayed there until the towel cooled. I was then taken to the iron maiden shower. While that is not its true name, I am calling it the iron maiden shower because the shower jets spray you from all sides and from the top in a similar layout the spikes of an iron maiden torture device. The purpose of the shower is to wash off all the dried sweat from the bathing process, which sounds gross but is definitely necessary. Step 8 is the 20-minute massage and costs an extra $30. I opted not to do the massage. Finally, I was taken to a different room and very much like Step 6, I was wrapped up in a cotton sheet. This time there was no hot towel placed under me and I was free to spend as much time as I wanted here to cool down. This was the shavasana to the bathing process. The whole process took about 90 minutes. While I am glad to have experienced the traditional bath, I would probably not do it again. Because I sweat so much, I began to feel dehydrated. Also, the majority of the bath is not a relaxing experience because it is so hot, especially the bathtub portion. That said, the people who originally took baths did it to cure diseases such as arthritis, so it makes sense that the bath is strenuous on the body. 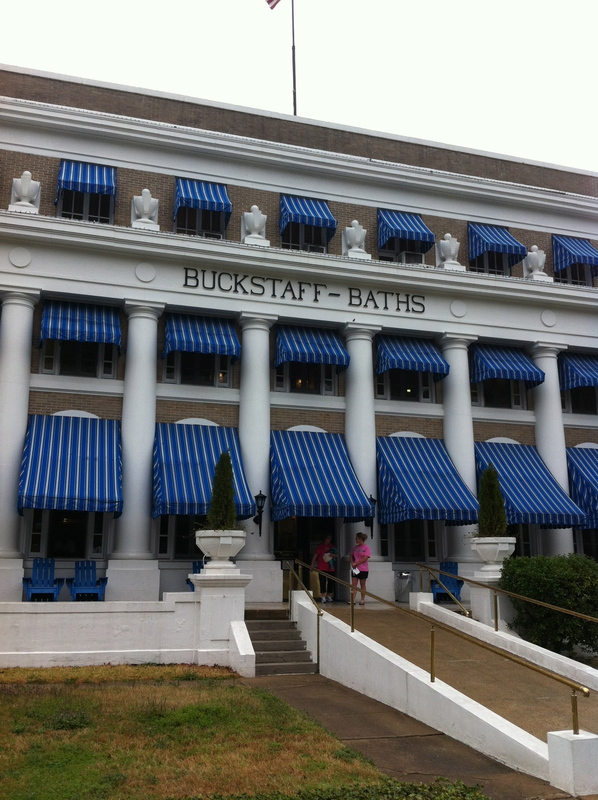 This might be the only place left in America where the public can experience a traditional bath.